We provide all types of repairs including cables, springs, handles, locks, cones and roller spindles. We provide all types of repairs including cables, springs, handles, locks, cones and roller spindles. Your garage door will be given a full service after any repair work to ensure it runs smoothly and there is less chance of problems in the future. If parts of your garage are beyond repair we can source any new parts and replace them at very competitive prices. We stock a variety of spare parts for different types of garage doors. 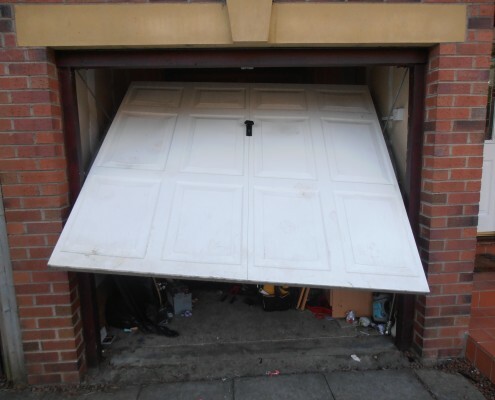 This allows us to repair most garage doors on our first visit. Many of our customers come across the common problems of snapped cables or a spring that is no longer under tension. These require a trained specialist or competent individual to repair and can be dangerous to an untrained individual. 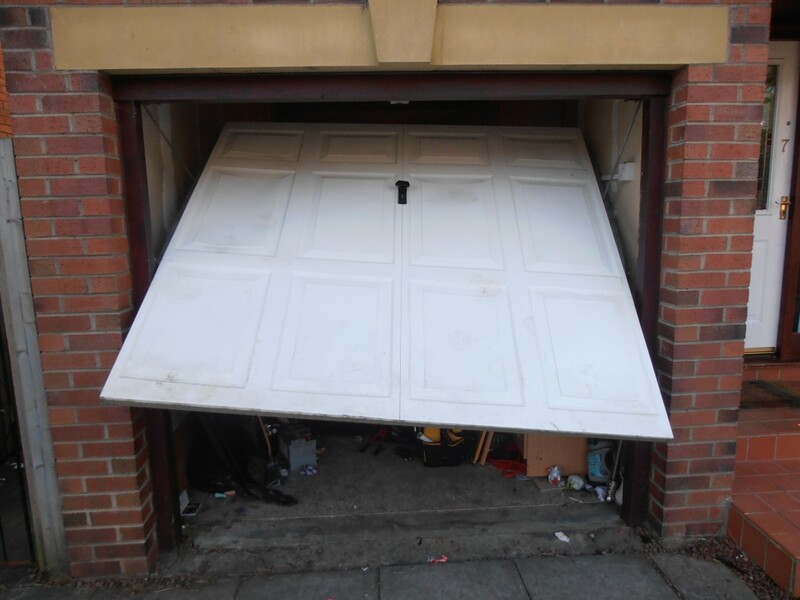 The signs to look out for to show that your garage is in need of repair can sometimes be quite obvious. 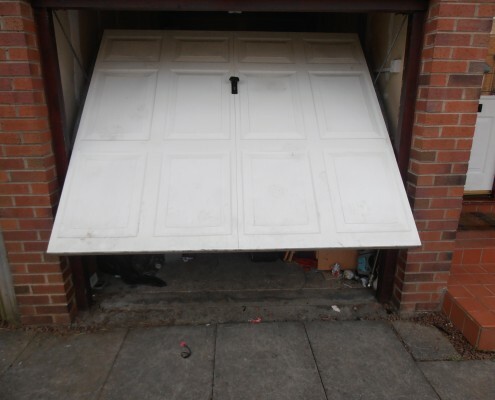 Fill in your details below if you require any garage door repair work. We offer same day callout and repairs. Cables – If for instance one side of your garage door is in a sloped position when open, usually this is due to one of your cables being broken. This places a lot of tension on the other cable which can snap under the pressure leading to further damage. Springs – Springs enable your door to raise and lower smoothly and take the weight of the door. 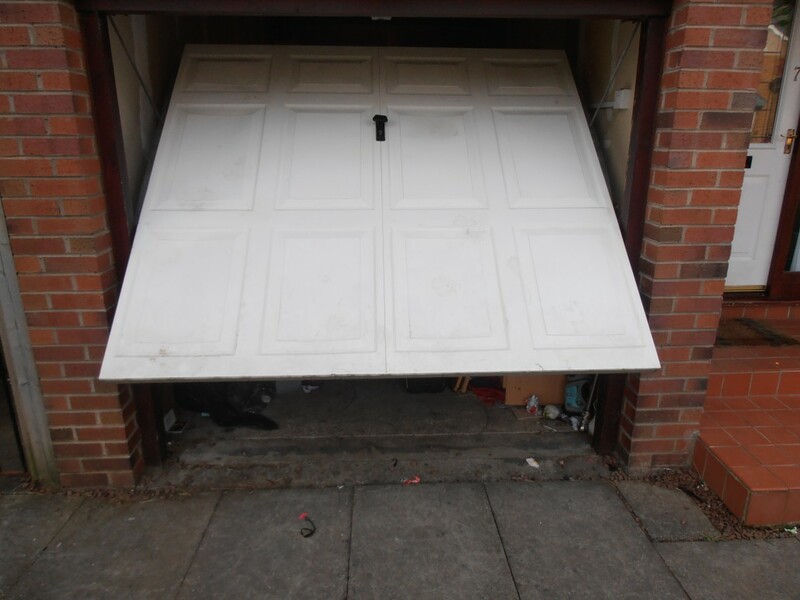 When opening an up and over garage door it should rise to around waist level by just pushing the top of the door gently. If this isn’t the case you know your spring needs more tension or replaced if broken.